This is a set of 6x6 hotpads made with 3 inside layers making them a total of 5 layers. One side has green material with different clovers on them and the other side is white back ground with green clovers. 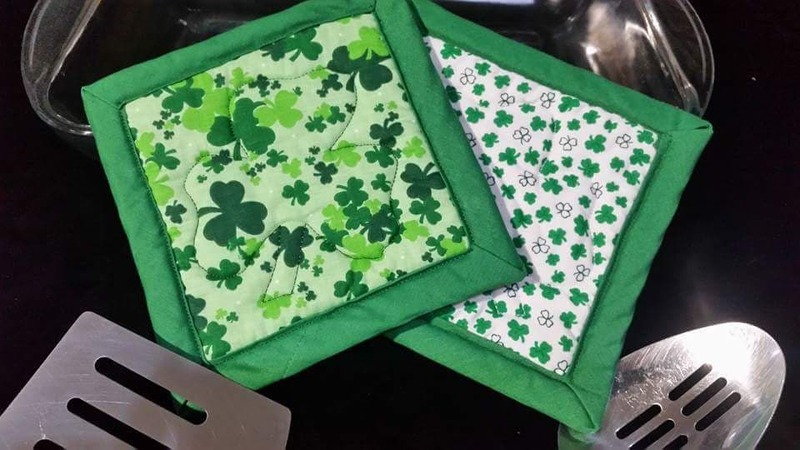 These are edged with green trim and have a clover stitched in the center.